We’ve been reporting on German marque Ascendo Immersive Audio’s impressive home theatre-focussed product portfolio, boasting an array of active and passive AV speakers that includes a mammoth 50-inch subwoofer, powered by a 6kW amplifier. Yes, really! 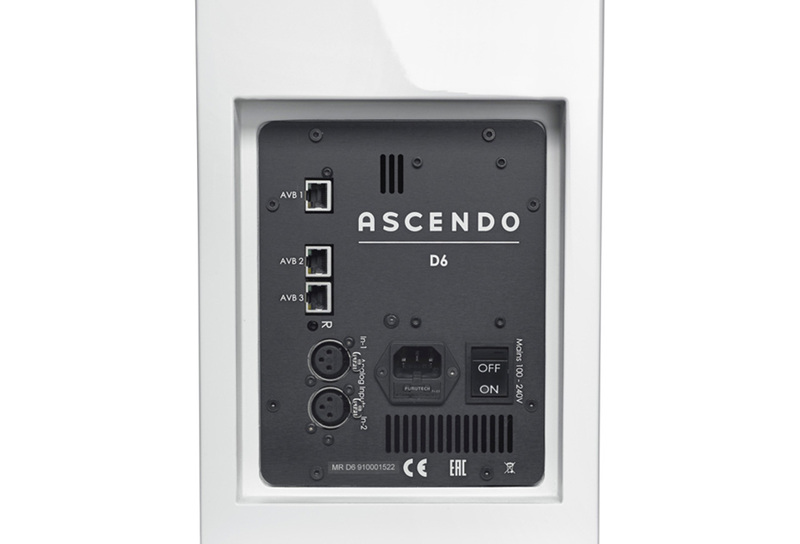 Somewhat more modest in size, but no less interesting, is the new Ascendo D6 Active – a slim floorstander that is not only self-powered, but also uses DSP-based control, and is AVB (Audio Video Bridging over Ethernet)-enabled. Each D6 is individually powered by a 650 watt amplifier module consisting of a pair of mono amps responsible for individually driving the mid/bass and tweeter components of the purpose-designed 180 mm coaxial driver. But it doesn’t end there. The integrated room calibration system allows the D6’s performance to be tailored and optimised to overcome specific room and placement-specific limitations. In other words, they promise to sound great, regardless of where or how they are positioned. Control is via a web-based interface, which allows instant and intuitive access to a full suite of settings, which can be customised to suit the room, individual preference, or even specific music genres. The same interface allows switching between different source inputs, allowing the D6s to be operated without the need of a separate pre-amp. The D6 uses a ported bass-reflex enclosure, with the coaxial driver mounted high up on the baffle. 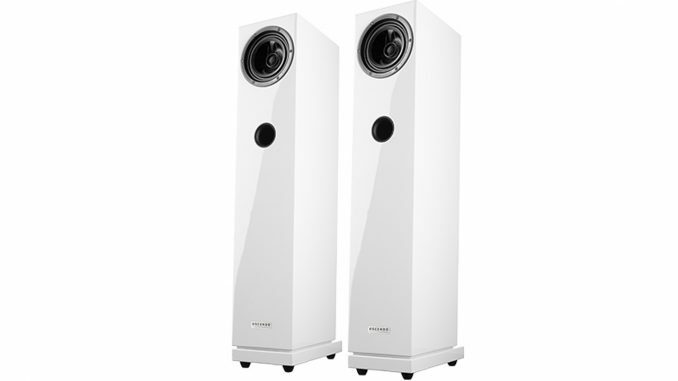 The 180 mm mid/bass is powered by a 500 watt mono amp, with the 25 mm soft-dome tweeter driven by a separate 150 watt amplifier. 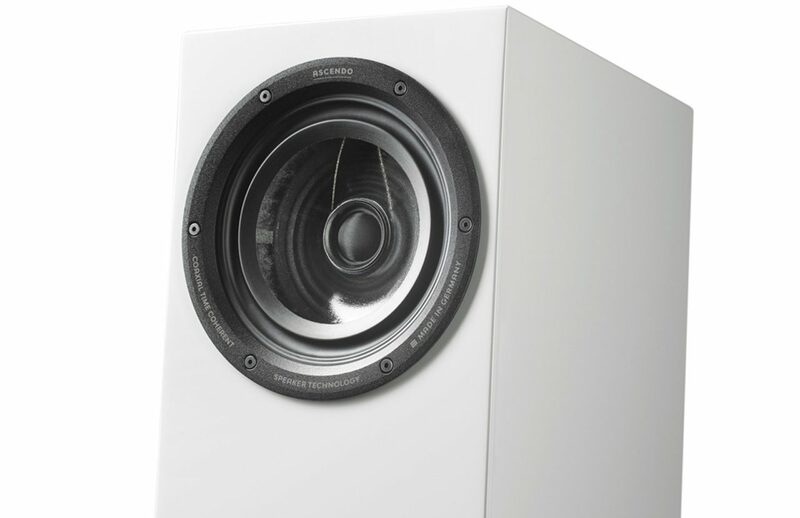 Claimed frequency response is 45 Hz to 23 kHz at -3dB, but those seeking more low-frequency extension can add Ascendo’s SMSG15 active subwoofer to the system for a ground-shaking but refined bottom end. Available finishes include piano lacquer black and white, as well as grey Nextel. The D6 retails for R155 000. Lacquered finishes add a further R2 000 to the price tag.